Clove oil is an effective, local and natural anaesthetic. Many hatcheries and research studies use clove oil to immobilize fish for handling, sorting, tagging, artificial reproduction procedures and surgery and to suppress sensory systems during invasive procedures. Clove oil may be more appropriate for use in commercial aquaculture situations. Improper clove oil use can decrease fish viability, distort physiological data or result in mortalities. Because animals may be anaesthetized by unskilled labourers and released in natural water bodies, training in the proper use of clove oil may decrease variability in recovery and experimental results and increase fish survival. Here, we briefly describe many aspects of clove oil, including the legal uses of it, anaesthesia mechanism and what is currently known about the preparation and behavioural and pathologic effects of the anaesthetic. 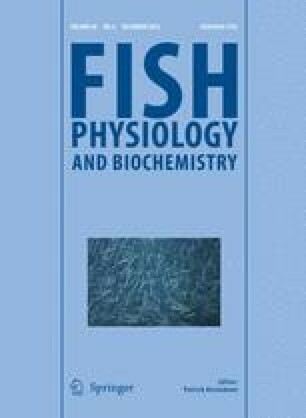 We outline methods and precautions for administration and changes in fish behaviour during progressively deeper anaesthesia and discuss the physiological effects of clove oil, its potential for compromising fish health and effectiveness of water quality parameters.